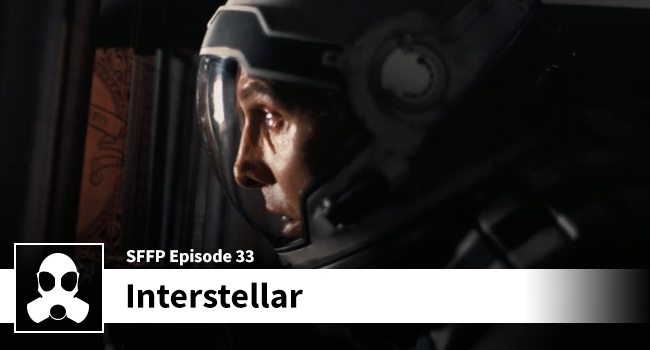 Like an alien planet’s tidal forces we are crashing into you with some mind-bending analysis of this Nolan trek through the stars. About the podcast: I don’t mean to harsh, but when you were talking about the dialog about the evil of man as being throw-away dialog, I believe you’re wrong. Here’s why: Matt Damon’s character represents the evil man (hence his name, “Mann”) would bring out into space. He is the scientist who intentionally lied about the nature of the planet he landed on in order to save himself. He then reinterpreted these selfish actions in order to seem selfless, that he would be the one to save the human race. Tell me what you think. That’s a killer observation, and it is a really good perspective. I think the dialogue I was referring to was his “do you see your children” bit as Cooper was suffocating. It struck me as trying to remind the audience that this guy isn’t comic book evil, because he does have emotional content around his attempted murder of Cooper — and it didn’t strike me as overly compelling. To behonest it is REALLY a nit pick. Overall I did like Mann’s treachery. It made sense to me.